LG G6 release date out in the wild? We're mere weeks away from meeting the LG G6, and now we may know just when the flagship phone will go on sale, at least in the US and South Korea. LG's forthcoming handset is due to launch at US carriers on April 7, nearly a month after it goes on sale beginning March 9 in its home country, according to well-regarded leaker Evan Blass of VentureBeat. The possible LG G6 release dates comes courtesy of planning material reviewed by Blass. Details on the LG G6 have leaked left and right, and new images of the phone are popping up with growing frequency, but one of the bigger mysteries has been when it goes on sale. That seems to be solved as of today. Unfortunately, no details on the LG G6's UK or Australian release were part of the report, however it's likely the handset will launch in those regions on or close to the US date. An April release is anything but out of the ordinary for LG: that's when its last two flagships have landed. We'll get our first official look at the G6 right before MWC 2017 in Barcelona at LG's February 26 press event. 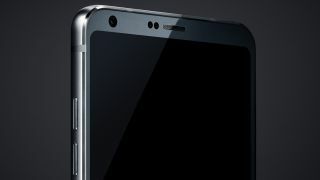 The LG G6 will be a departure from the LG G5, which featured a unique modular build but was a commercial failure. Among the LG G6 specs are a 18:9 aspect ratio screen with nearly no bezels, an all-metal body and waterproof design. LG's launch timing for the G6 is critical as its chief rival - the Samsung Galaxy S8 - probably won't go on sale until later in April. LG will have a few weeks alone on store shelves, time it may need to bolster sales considering it won't run the latest Snapdragon 835 processor, but instead stick with the capable yet older Snapdragon 821 chip set. We'll be on the ground at MWC to bring you the latest on the LG G6, including its official launch date. Stay tuned for more.